MEXICO CITY, Distrito Federal, Mexico. 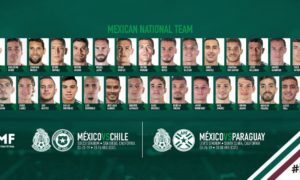 On Monday, the Mexican Football Federation (FMF) revealed the list of 28 players from which Juan Carlos Osorio would select his World Cup squad. The squad, like many of the selecciones manager Juan Carlos Osorio, offers plenty of surprises and imbalances. It also opted for players who were already implanted with El Tri, rather than taking a chance with promising outsiders even though some players, like Oribe Peralta, Jonathan Dos Santos, and Giovani Dos Santos, have seen their effectiveness decline even within the last two years of the World Cup cycle and could be significant liabilities with their declining sharpness in their task execution on the pitch in Russia. The squad also features a lack of listed outside defenders (laterales) who might be called upon to prevent El Tri from being broken consistently on the flanks in the 2018 World Cup, a problem that plagued Osorio’s national team selections. While Mexico’s Colombian tecnico is expected to utilize wingers, outside midfielders, and even central defenders in the outside defending positions, the lack of outside backs could mean a mid-match change in approach at the World Cup would necessarily require a change in personnel, rather than instructing the laterales to implement the different approach themselves. In addition, 38-year-old libero Rafael Marquez was included in the list of 28 even though the World Cup would be his final minutes of football, and by the end of Atlas’s season, he started to see the effects of two decades of wear on his defensive duties. The side contains a number of other form and injury risks. In terms of injury, Diego Reyes, Jonathan Dos Santos, Giovani Dos Santos, Nestor Araujo, and Andres Guardado are all risks to miss the World Cup. Several other players, like Jesus Manuel Corona and Javier Hernandez, had struggled for game minutes during the club season. 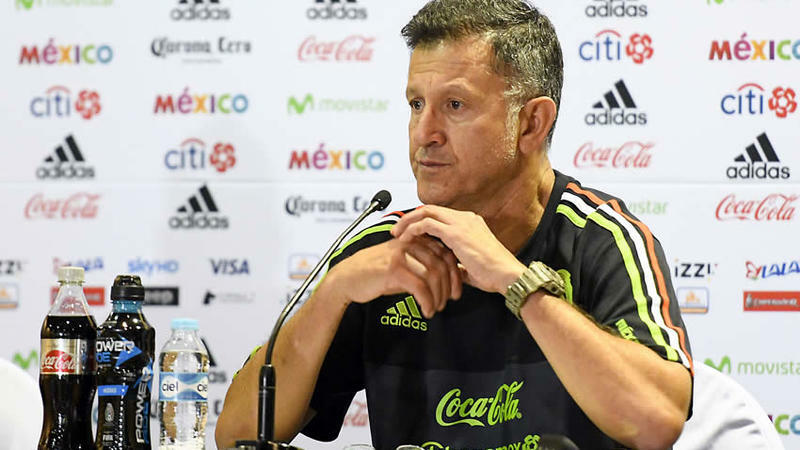 The side that Juan Carlos Osorio will utilize is a binding 28=man list from which El Tri will have to select its initial list of 23 players by June 4, ten days before the tournament officially begins. If any player is injured after the 23-man squad is named, then Juan Carlos Osorio would be free to name a replacement. 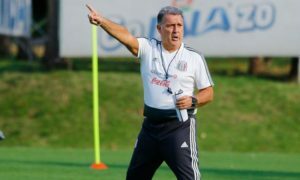 It is a case, that Juan Carlos Osorio explained, during the press conference could see Rodolfo Pizarro on the World Cup squad. 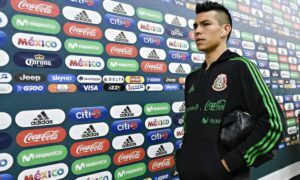 Oribe Peralta’s inclusion despite his ineffectiveness for Club America, and Jose Juan Vazquez’s exclusion from the defensive midfield, also spoke to another problem the Colombian noted, which in the terms of a press conference, was a lack of capable Mexican players playing club football at a high level on a regular basis. Below is the full preliminary squad that Juan Carlos Osorio named and submitted to FIFA by the deadline, which was today (Monday, May 14). Those players selected would have to be given a mandatory rest period between 21 May and 27 May 2018, outside of those taking part in the UEFA Champions League final.